Among those coming soon to the Opry stage are Vince Gill, Montgomery Gentry, Rascal Flatts, Chris Janson, Kelsea Ballerini, David Nail, Lauren Alaina, Chris Young, Craig Morgan, Dustin Lynch, Charles Esten, and many more. Among artists scheduled to make their Grand Ole Opry debuts are Tara Thompson, Maren Morris and Brothers Osborne. About the Grand Ole Opry: The Grand Ole Opry® is presented by Humana®. Opry performances are held every Friday and Saturday of the year, with Tuesday Night Opry shows running through December 13. To plan an Opry visit, call (800) SEE-OPRY or visit opry.com. The Opry presents the best in country music live every week from Nashville, Tenn. 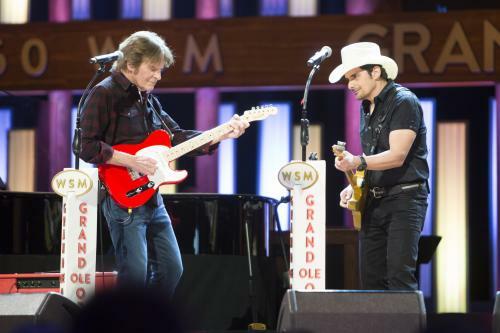 Celebrating nine decades of entertainment, the Opry can be heard at opry.com and wsmonline.com, Opry and WSM mobile apps, SiriusXM Satellite Radio, and its flagship home, 650 AM-WSM. The Grand Ole Opry is owned by Ryman Hospitality Properties (NYSE: RHP). For more information, visit opry.com.